Denton Venue Rubber Gloves Is Re-Opening This Summer. After Hosting A Handful Of One-Offs In The Next Few Months, A Revamped RGRS Is Expected To Return To Regular Operations By The End Of August. After closing his venue in 2016, putting its land up for sale in 2017 and selling that property to a partner who he said was interested in reviving the space as a concert space in 2018, Rubber Gloves Rehearsal Studios owner Josh Baish now says his beloved music venue is set to fully return from the dead by summer’s end. But those itching to relive the venue’s glory days before then won’t have to wait. 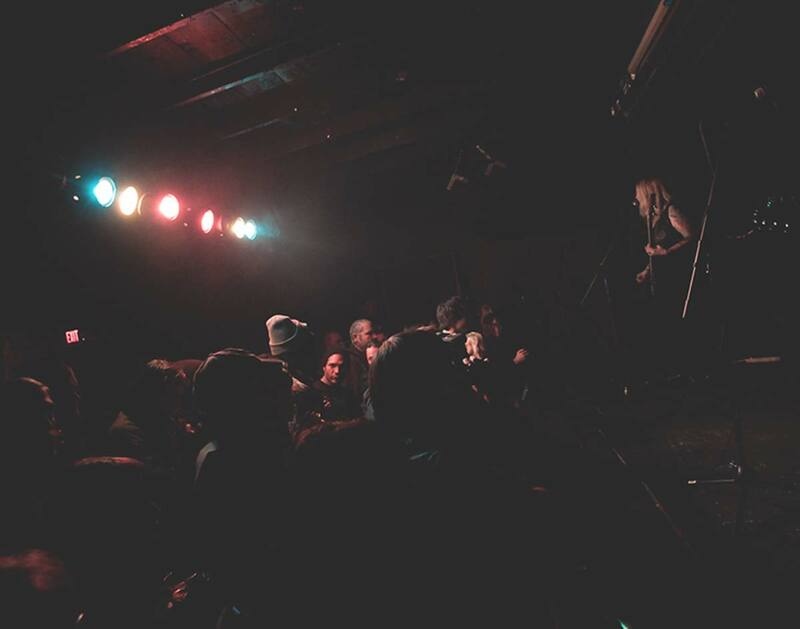 Next month, the venue will utilized as a host venue for a handful of gigs related to Denton’s film-, photo- and music-focused Thin Line Festival. In the weeks following that affair, the venue is also expected to host a handful of other one-off gigs. By August, though, Baish expects the venue to be once again operating at full bore. He currently plans to host a major grand reopening for the venue on August 23 and 24 — just in time for the beginning of the University of North Texas’ fall semester. After that, Baish says, the venue will return to its old regular business hours. Once reopen, Baish says visitors to the space will immediately note how the revamped RGRS will make better use of its land than it ever has previously. While that land now belongs to Baish’s silent investor, who does not wish to have his or her identity known publicly, Baish will operate the property as a general manager. He also plans to tend bar and book shows at the venue. Reached by phone this, the excitement in Baish’s voice over the resurgent Rubber Gloves is palpable. “We have redone everything,” he says. He explains: Not only have the interior bar and showroom been revamped, but there will also be more rehearsal spaces for rent, a newly-built lounge area for singer-songwriters to perform in and an outdoor space for tailgating and performances alike. Baish says he is especially eager to make use of that outdoor area, which he acknowledges had not been properly utilized in the run up to Rubber Gloves’ 2016 closure. Now, he hopes to use that space as a means to draw major touring acts back to Denton. In other words: No longer will one have to hear aging scenesters talk about seeing the Get Up Kids playing outside the venue in the late 1990s and remarking about the “Emo Train” that kept passing by as they played. Now, a new generation of concertgoers will be able to create their own memories. When Rubber Gloves closed almost three years ago, its doom felt like the sign of a major shift happening in Denton’s live music scene. Depending on who you talked to, it was either a painfully slow death or just the natural cycle of a scene turning into something different. While reports of the Denton music scene’s death have indeed been greatly exaggerated — the house show circuit appears to be thriving as ever, and traditional venues such as Dan’s Silverleaf and Andy’s Bar have never really lost their steps as regular live music show destinations — there’s no doubt that Rubber Gloves’ departure from the scene left a major void in its wake. Perhaps as should be expected, that’s how Baish sees things, anyway. His hope is that Rubber Gloves can be a force in reversing the modern day attitude about Denton’s live scene. And while his plans to have Rubber Gloves return bigger and better than ever may be ambitious, is there any debate to be had over whether it’s a good thing to have Rubber Gloves back and focused on trying to positively affect the Denton scene? We mean that question rhetorically. But Baish doesn’t. “I want to see [Denton] back on the map,” he says. And while his own efforts at truly trying to force that issue may be months away, it’s easy to get caught up in the enthusiasm with which he speaks as he shares what little details he can. Cover photo of Rubber Gloves Rehearsal Studios by Hance Taplin. Next ArticleWin A Dundie At This The Office-Themed Party In Dallas.